The governments of Burundi and DRC alongside UNHCR launched a pilot project of repatriation of Burundian refugees. On August 14th, 70 refugees from 24 families were voluntarily repatriated from Lusenda refugee camp in the DR Congo. A convoy trucks carrying 70 refugees crossed the border to Burundi in Gatumba accompanied by CNR (Norwegian Council of Refugee), UN Refugee agency and Congolese authorities. Congolese authorities handed them to the Burundian ones at Gatumba border. They were conducted to UNHCR transitional center in Kajaga where they will spent a night before being brought back to their localities of origin the next day. The spokesperson of the Minister of the Interior says they are pleased to see them coming back: “We are happy to welcome them in their country. We demand the administration and the whole community to welcome them with open arms” said Therence Ntahiraja, the spokesperson for the Ministry of the Interior. UNHCR facilitates the return of these refugees. They are given some food, other items like mosquito nets, soaps… and a financial aid equivalent to 60 dollar per person as well. “When refugees express a will to return, we facilitate their return. We assist them with a return pack which equals to some food, some items and other financial means. 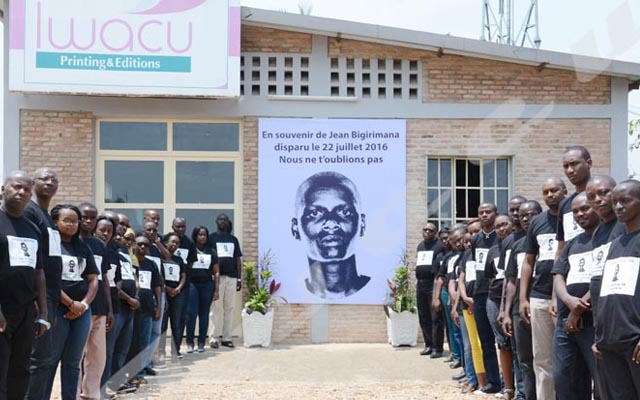 We will do our best to make sure everyone who expresses a will to return in his country is facilitated” said Soufiane Adjali, the vice representative of HCR in Burundi. UNHCR says more than 400 thousand Burundian refugees are still in the neighbouring countries namely Kenya, Ouganda, Mozambique, Zambie, Malawi and Tanzania. The latter hosts more than 240 thousand of all of them. Lusenda refugee camp is located in south Kivu province in the territory of Fizzi and hosts more than three thousands Burundian Refugees.